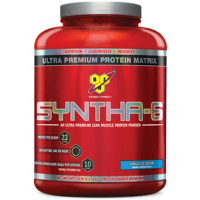 BSN Syntha-6 is essentially a protein blend which comprises a mixture of six slow and fast-digesting proteins: whey isolate, whey concentrate, calcium caseinate, micellar casein, milk protein isolate, and egg albumin. 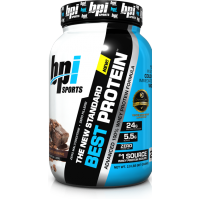 Although it is quite a higher on carbs and fat it’s not enough to worry about gaining weight from which makes BSN Snytha-6 more of a meal replacement product rather than a straightforward protein powder. 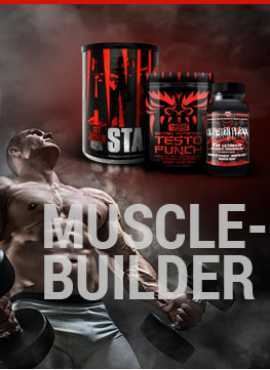 And because it isn’t high on calories enough to be a mass gainer, and it has too many calories to be a straightforward protein powder, BSN Snytha-6 would be an ideal supplement to help with maintaining muscle mass. 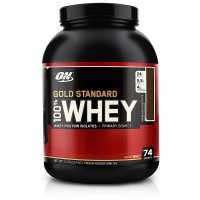 The protein matrix has been specially designed to delay the digestion process. 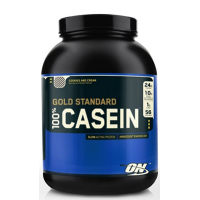 So, while the whey protein is absorbed very fast by the body, the casein takes much longer to be absorbed, making it, for example, a perfect protein supplement to take just before bed. 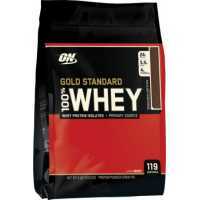 BSN Syntha-6 is essentially a protein blend which comprises a mixture of six slow and fast-digesting..
Optimum Nutrition's Gold Standard 100% Casein is an ultrapure form of micellar casein protein. 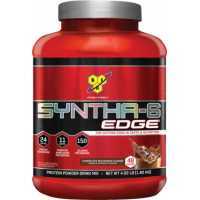 Each ..
BPI Sports Best Protein only contains a minimal amount of ingredients and is your typical blended wh..
Syntha-6 EDGE than Syntha-6 contains more protein, fewer calories, carbohydrates and fat. Amaz..